World's Toughest Mudder took place in Lake Las Vegas recently. The company debuted some of the new obstacles for 2017 at the event, and Tough Mudder continues to push the envelope on innovative obstacles. Another aspect of the company that Tough Mudder continues to innovate is its coverage. Tough Mudder has already been written up by several sources as one of the top accounts on Facebook for live streaming and their use of Facebook Live. At World's Toughest Mudder, the company set new records for live streaming viewership within the industry. Between ToughMudder.com, World's Toughest Mudder App, and Facebook Live the company had over 3.6 million views from around the world. Facebook Live alone reached nearly one million viewers during the competition. Not only did Tough Mudder set records in the obstacle racing industry but also the entire endurance sports world, establishing Tough Mudder as a leader in the live sporting coverage. The CBS special of World's Toughest Mudder is set to air on Christmas day. See full press release below. BROOKLYN, NY– Tough Mudder Inc., the leading active lifestyle brand, live streamed the 24-hour World's Toughest Mudder race on Saturday, November 12 and Sunday, November 13 at Lake Las Vegas, drawing 3.6 Million views with more than 3.5 Million minutes of coverage consumed across Tough Mudder digital platforms by fans in more than 200 countries tuning in, including the United Kingdom, Germany, Australia, the Netherlands, Brazil, Spain, China, South Africa, United Arab Emirates and Indonesia. This is 5X Tough Mudder's 2016 live stream season average (723,000 views), handily surpassing the company's largest live stream event to date, Tough Mudder Los Angeles 2016, and setting viewership records in the obstacle course racing and endurance sporting events categories, establishing Tough Mudder as a leader in live sporting event coverage. Tough Mudder's proprietary live stream drew nearly 1 Million views and more than 439,000 unique viewers on Tough Mudder digital platforms including mobile devices, computers, and OTT devices to watch the more than 1,500 participants from around the world compete for the title of World's Toughest Mudder. Viewers consumed more than 2,470,815 total minutes of coverage through ToughMudder.com and the Tough Mudder app. Tough Mudder's Facebook Live steam garnered more than 2.6 Million views with an organic reach of 14.2 Million. Viewers on the platform consumed more than 1 Million total minutes of coverage. For a behind the scenes take on World's Toughest Mudder, viewers can tune into CBS Sports Network, Thursday, December 15 (9:00 PM, ET) for the one-hour preview show, ROAD TO WORLD'S TOUGHEST MUDDER, and full coverage of the event, WORLD'S TOUGHEST MUDDER, on CBS broadcast Christmas Day, Sunday, Dec. 25 (2:00 PM, ET). 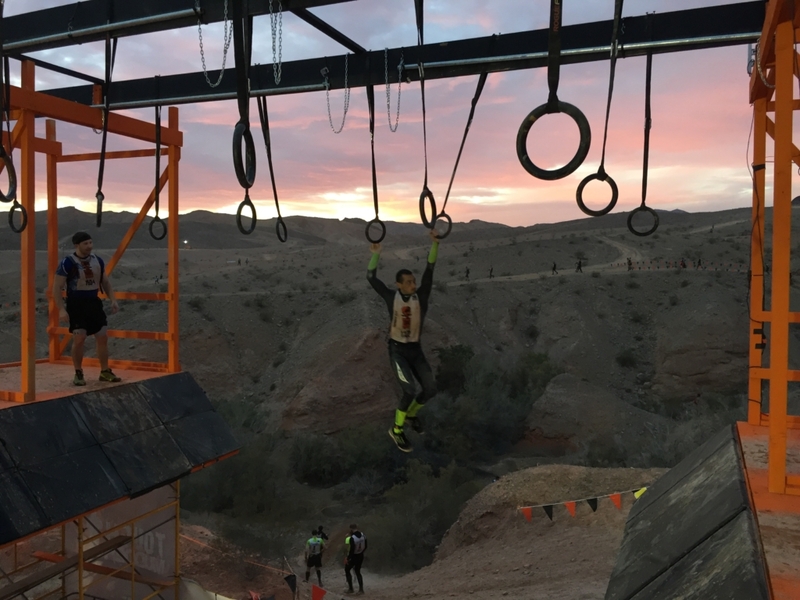 Immediately following WORLD'S TOUGHEST MUDDER on CBS, CBS Sports Network will air WORLD'S TOUGHEST AFTERSHOW (3:00 PM, ET).